Harley Street Specialist Carolyn Leigh is a fully registered, qualified Clinical Nutritionist providing unique healthcare and nutritional services for people of all age groups with chronic health and medical conditions. 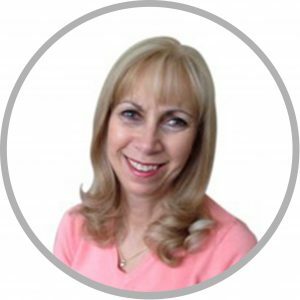 Carolyn’s combined experience as an acknowledged specialist in Dietary/Nutritional problems, ME, CFS, Chronic Fatigue, Fibromyalgia, Candida, Thyroid conditions, Adrenal Testing, Allergy & Blood Testing, and Women’s Health, offers not only the qualifications but also the capability and background to help you. Carolyn is a recognised UK authority in the complex relationship between health and disease including the science of nutrients and a specialist in Chronic Fatigue Syndrome/ ME management and methods of treatment. She graduated from the University of West London with a BSc degree in Nutritional Medicine incorporating medical science, names diseases, patho-physiology, optimum nutrition and diet. She has built a strong reputation for success among specialists, local GP’s and health workers with frequent referral to her practice. Carolyn also contributes to Men’s Health magazine, the London Metro and for 2013 Channel 5 – 50 Shocking Facts about Diet and Exercise. Carolyn has also featured on BBC Radio Solent as an expert in Vitamin D deficiency and more recently on child nutrition and obesity. Being at the forefront of private health care Carolyn provides comprehensive specialist diagnostic testing, medical condition management, holistic treatment methods, professional knowledge and an unrelenting drive to reach the root cause of your illness by pinpointing underlying metabolic disturbances and nutritional imbalances in the body which are contributing to your illness. Carolyn is a member of the British Association of Applied Nutrition and Nutritional Therapy (B.A.N.T.). The Complementary Therapists Association (CThA) is a registered practitioner with the Nutritional Therapy Council (NTC). Carolyn is also a registered member of the Professional Standards Authority.